A group of Milwaukeeans marching in Washington D.C. Protesters marching toward the Washington Monument in Washington D.C. 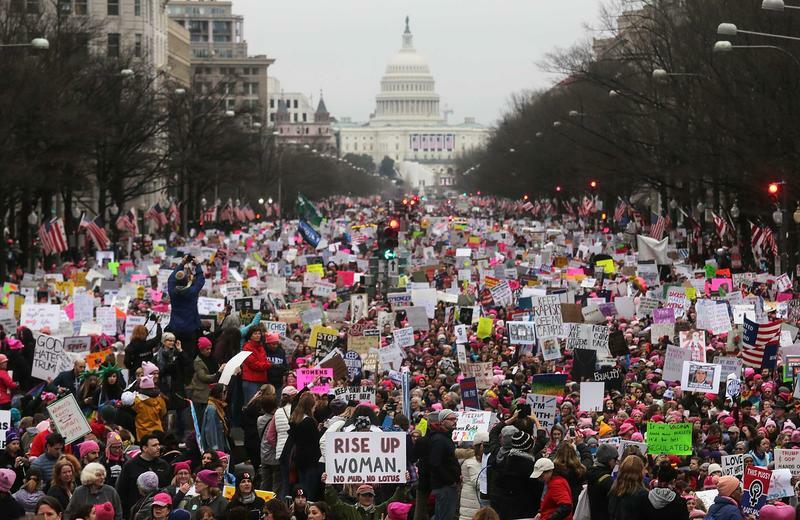 Protesters at the Women's March on Washington, in Washington D.C. Protesters walk during the Women's March on Washington, with the U.S. Capitol in the background, on January 21, 2017 in Washington, DC. 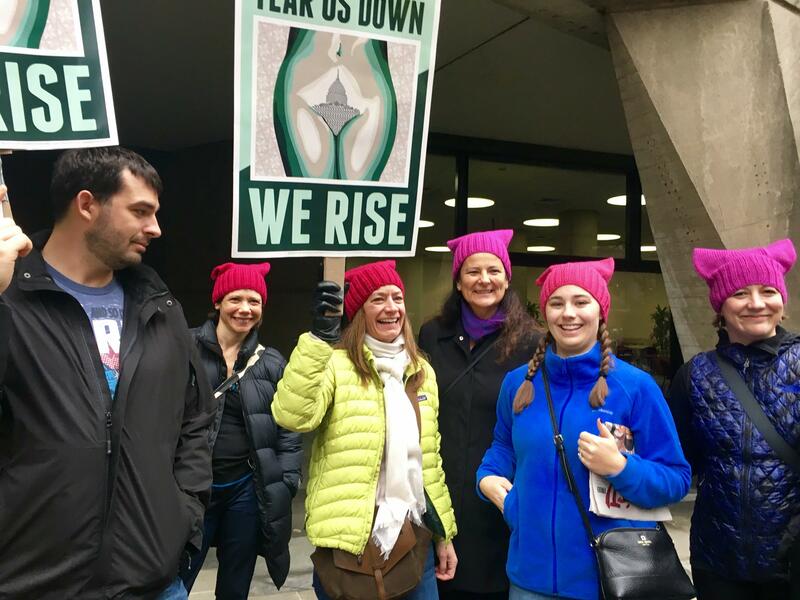 Lake Effect's Joy Powers speaking with a group of Milwaukeeans at the Women's March on Washington. Over the weekend, people on every continent took to the streets to protest the inauguration of President Donald Trump, and support those they say they fear will be marginalized under his administration. By some estimates, more than 3 million people were involved in the protests which sprouted up in cities across the nation, including several here in Wisconsin. But many chose to go to our nation's capital by plane, train or automobile. And among them were many marchers from Milwaukee. 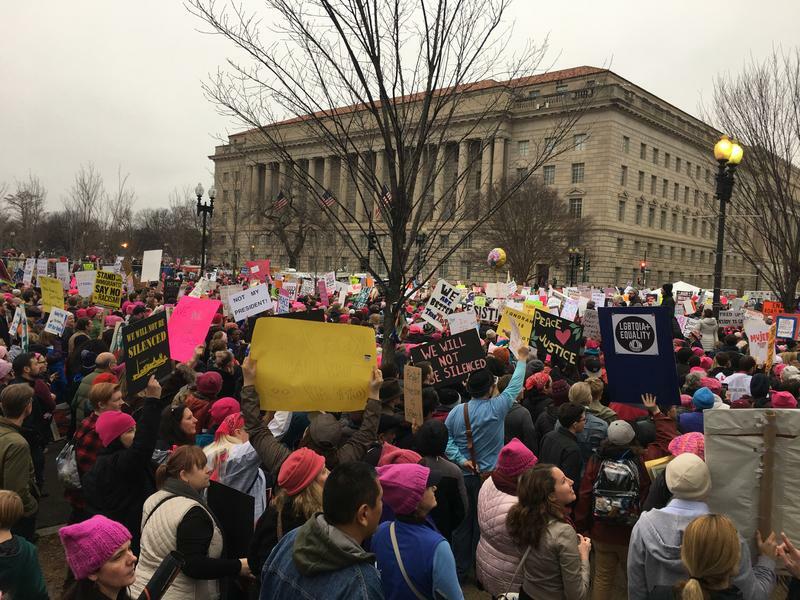 Lake Effect's Joy Powers was in D.C. this past weekend to talk to Milwaukeeans at the Women's March on Washington. Voices in the feature include Colleen Reilly, Katie Keelan, Pamela Potter-Billings, Marguerite Temple and Carmen Petrie. Protesters marching toward the White House in Washington D.C. 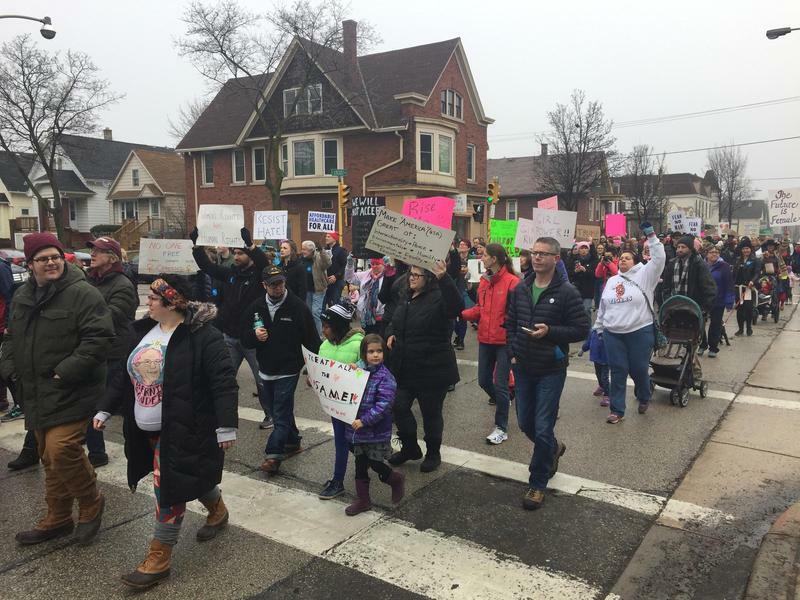 Hundreds of people in the Milwaukee area spent part of the weekend demonstrating their concerns about the new Trump administration, by taking part in rallies. 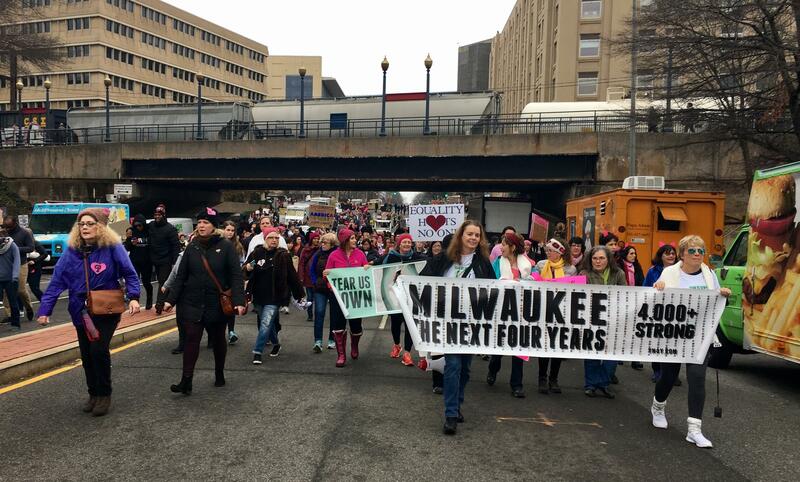 Saturday morning, scores of people marched through the streets of Milwaukee's Riverwest neighborhood. 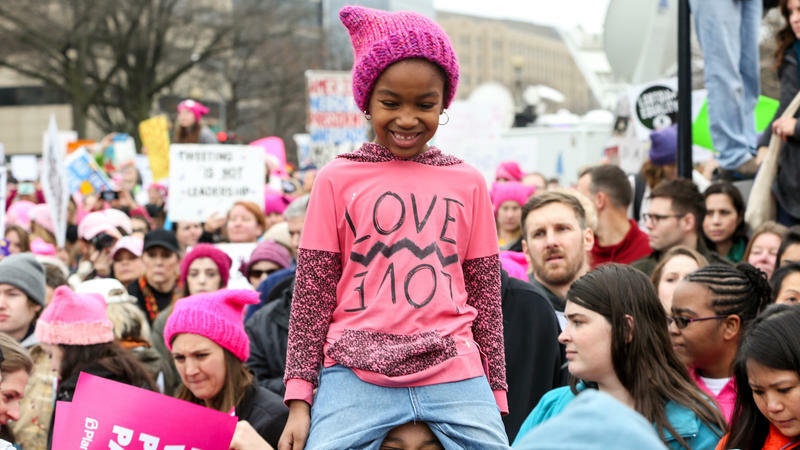 Organizers billed the event as a "Femme Solidarity March," as it coincided with the massive march that took place in Washington D.C. and in other cities around the country and world.